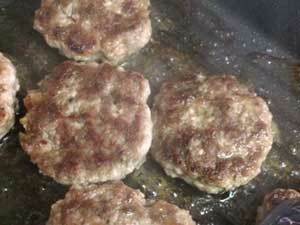 If you are craving breakfast sausage but only have ground pork on hand, you can make your own! We tried this recipe from allrecipes.com and loved it. 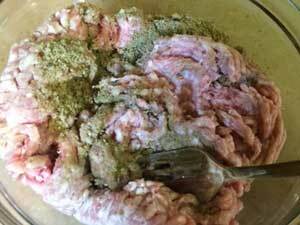 Mix all the ingredients together (except the pork) until well combined. Add it to the pork. It's okay to use your hands to get it thoroughly combined. Form into 2-inch patties. Brown over medium heat until cooked through. Cooked pork should have an internal temperature of 160 degrees. We enjoyed ours with Vermont Bread Company English muffins and Shadow Cross Farm eggs.